I received the e.l.f. Chromatic Eyeshadow Palettes back in May. I’ve been meaning to play around with them and create a few looks, but it was difficult finding the time. Now that I’ve got more free time I’ve had the chance to test them out. It was really difficult choosing which one to test out first so I sort of used both. This look will feature both palettes, but Posh Peacock will be the star of the show. There are 2 Chromatic Eyeshadow Palettes. There is Birds of Paradise and Posh Peacock. Today I will be talking about Posh Peacock. 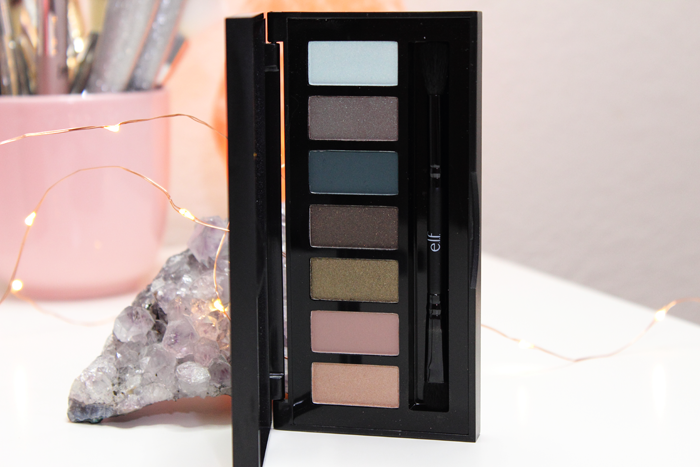 It contains 7 eyeshadows in both matte and metallic finishes. 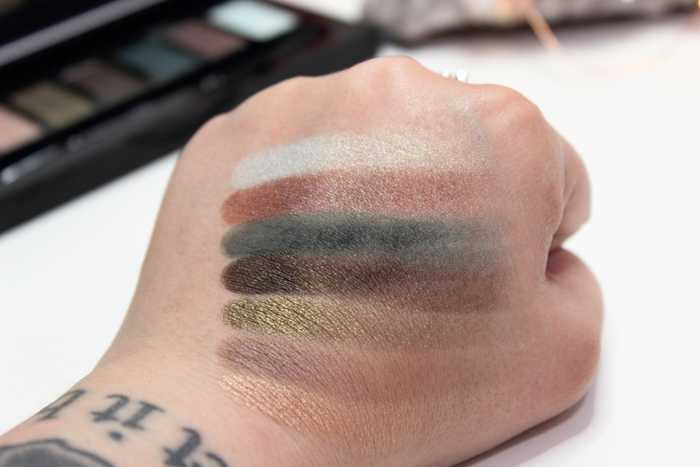 I took the photo of my hand swatches like this so that you could see the color shift on the last 2 shades. The metallics swatched beautifully. 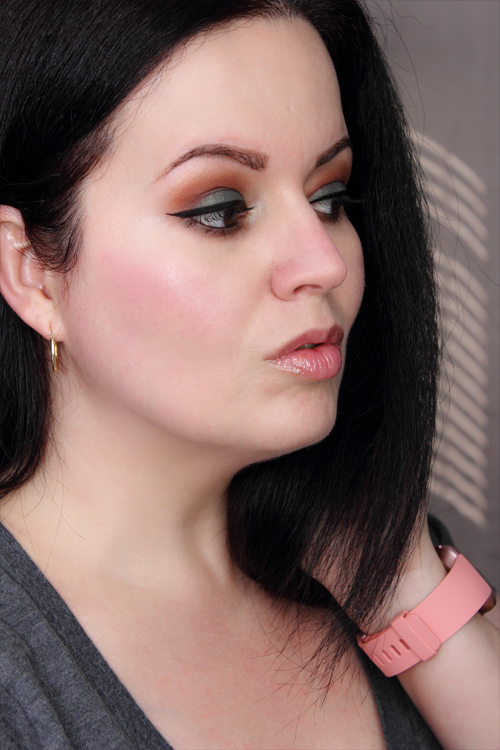 For the most part the mattes swatched just as beautifully, but that teal needed a little help. As you can tell from the swatch it’s a bit patchy and needed some building up. In fact I reached for Posh Peacock first because I wanted to test out that beautiful teal shade along with that last shade. I already had a look in mind. I applied the teal shade on my lid. I had a feeling that would be the best use for that shade. I applied that last shade on top with a dampened brush. I applied the 4th shade on my lower lash line. I’m really happy with how my look turned out. Everything applied and blended fairly easily. Although if you’re planning to add that teal shade in your crease you might have trouble blending it out. It really does make for a beautiful lid shade though. You can see Posh Peacock in action below. My look lasted throughout the day, but I did experience a bit of creasing after about 6 hours. Overall, I’d have to say it was a fun palette to experiment with. Some of the shades are unique in my collection and I will definitely reach for them. I love that this palette also comes with a dual-ended brush. I really like e.l.f.’s brushes so even the brush will get some use. I will say that I wish it included another matte shade. Out of the 7 shadows only 2 are matte. I know it’s a ‘chromatic’ palette, but it would have been nice to maybe throw in a decent transition shade. Which is why I reached for the Birds of Paradise Palette. I’m sure you could still create a full looking using just Posh Peacock, but I wasn’t so sure I could pull it off myself. So I reached for another palette. Which shades would you have used to create a full looking using Posh Peacock? Boy do I love me a pretty highlighter! It took me a while to finally get my hands on the e.l.f. 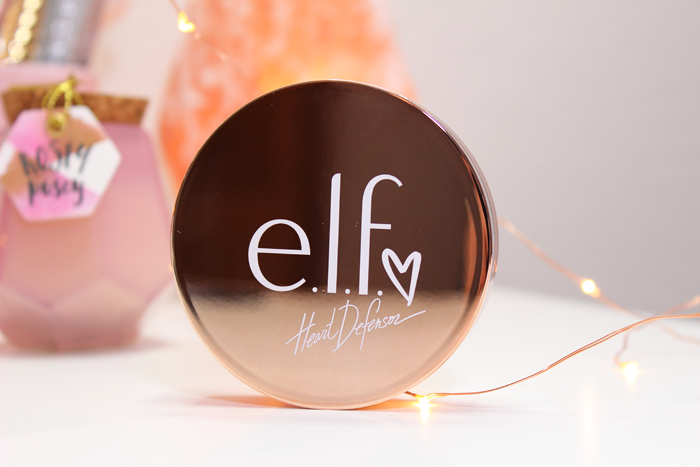 Heart Defensor Highlighter Palette, but it was so worth the wait. 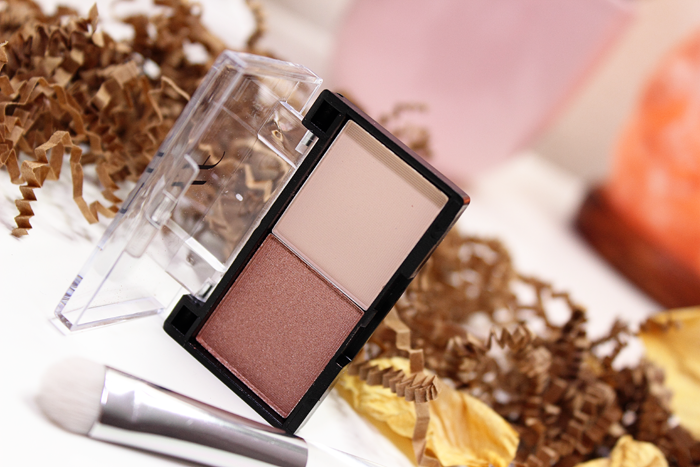 This beautiful highlighter duo contains 2 complimentary shades in Coffee and Cream. 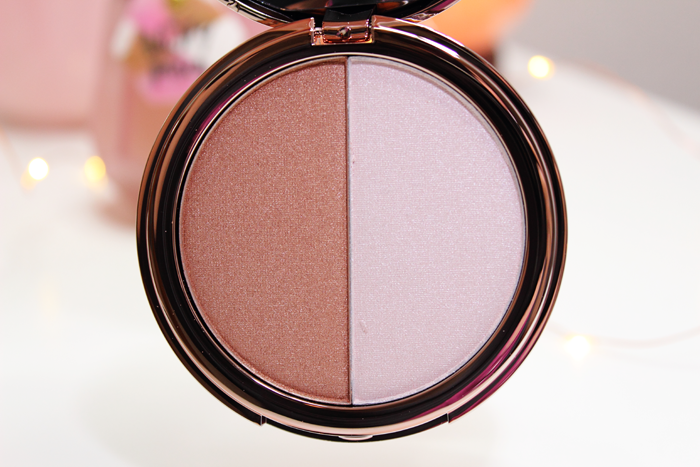 One offers a nice subtle glow and the other a more sun-kissed bronze glow. Both are nicely pigmented. My swatches are just one swipe! They’re so soft and buttery that they just glided onto my skin. I mostly use the lighter shade which I’m assuming is Cream. It’s more subtle and natural looking, but it’s no lightweight. She packs a bit of a punch. I think the darker shade is a little too dark for me right now, but I can see it working nicely come Summer. The packaging is what really caught my eye. I’m loving the beautiful rose gold like packaging. It’s so pretty! I really wish e.l.f. would do more pretty packaging like this. Because it looks super nice sitting on top of my vanity! I love displaying the prettier pieces in my collection. You can see the e.l.f. 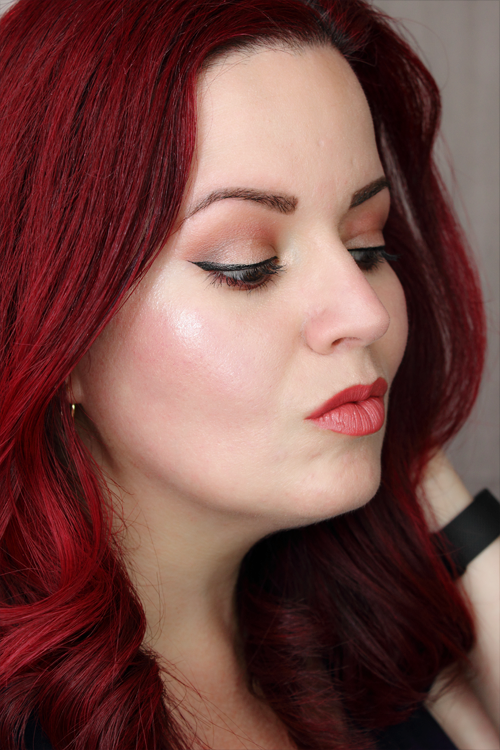 Heart Defensor Highlighter Palette in action below. Overall, I’d have to say this is easily one of my favorite products from e.l.f. Everything about this highlighter is a win to me. 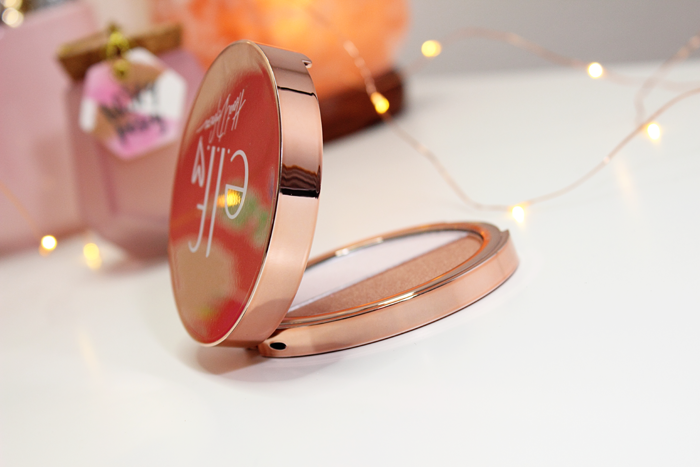 The beautiful packaging, the mirror, the shades which can be used together or individually, and the quality. I’m very impressed. What’s your favorite e.l.f. product? Have you tried the e.l.f. Heart Defensor Highlighter Palette? I find that a lot of drugstore brands are really stepping up their game these days. Maybe not packaging wise, but with their eye-catching shades and surprisingly nice quality. I’d still like to see some pretty packaging, but I suppose it really doesn’t matter if the quality is there along with nice shade selections. e.l.f. had recently sent me a nice box of goodies. 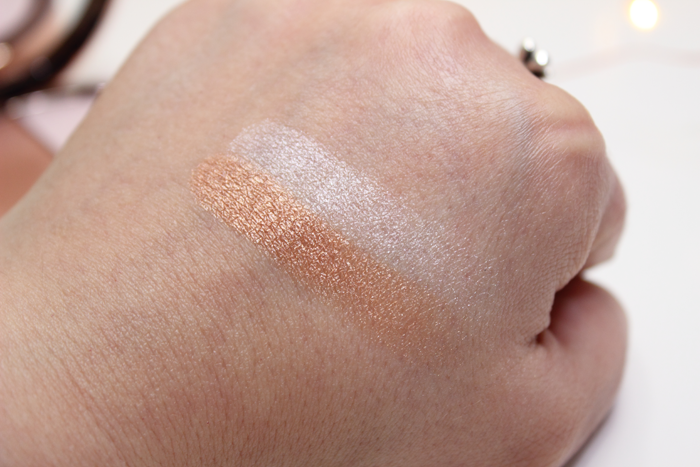 This beautiful little duo in the shade Tea For Two along with another in the shade Peach Squad really stood out. I just couldn’t wait to dig in and swatch them. The duos come with a shimmery shade and a matte shade. I found them both to be soft and nicely pigmented. The shimmery shade was more pigmented than the matte and it pops even more when you apply with a dampened brush. The matte was a little on the powdery side and needed some building up, but it built up rather nicely. You can probably tell from my swatch. Overall, I’m really impressed with these duos. I think the shades are gorgeous and compliment each other nicely. 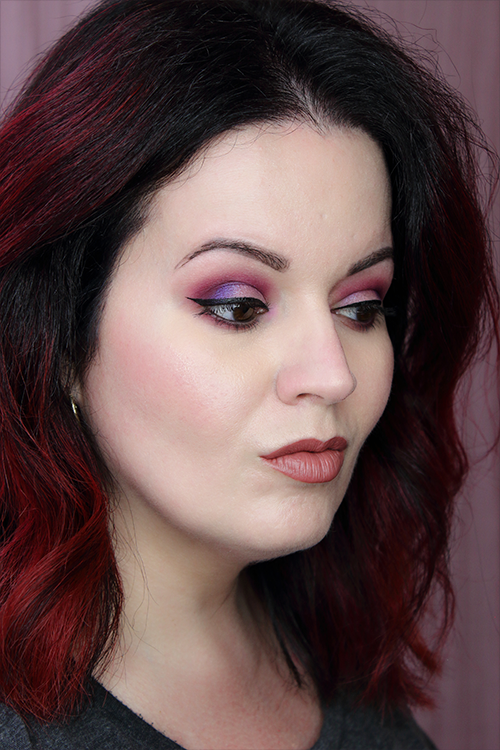 You can see a look I created with Tea For Two below. e.l.f. 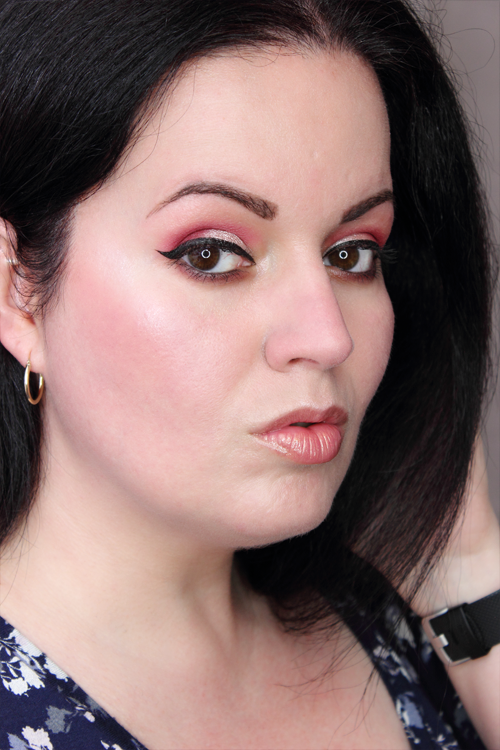 suggests applying the matte shade on the lid and the shimmery shade in the crease. I didn’t apply the shimmery shade with a dampened brush because I wanted to go with a much softer look. I’m very happy with how it turned out. You can find these nifty little duos on the e.l.f. Cosmetics website. There are 5 shades to choose from and they are $3.00 each.